lenswith his passion for surfingto create the theFINproject, a photo installation, book, gallery and documentary dedicated to the surfboard fin and its impact on the sport. Hogan’s work showcases the surfboard fin, its design, origins, and physical attributes, in an equally stunning and revolutionary portrait series and photographic study. Art of Craft has designed a nine-piece t-shirt collection inspired by theFINprojectin unique styles for men, women, boys and girls, all featuring images from the iconic Hogan photographs. This special collection will be available from Nov. 20 – Dec. 17th at www.artofcraft.com and select Fred Segal locations. Six dollars from each sale will benefit Hogan’s charity of choice: The Surfrider Foundation, a non-profit organization dedicated to the protection of the world’s oceans, waves and beaches. The foundation now boasts 90 chapters worldwide with 50,000 active members. 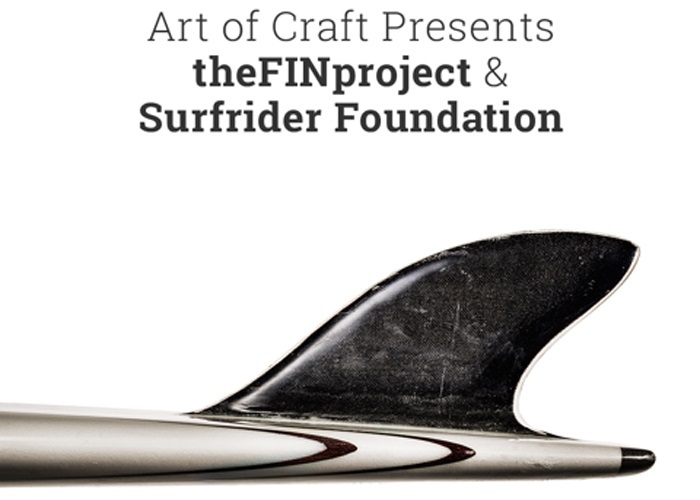 Proceeds from Art of Craft and theFINproject collaboration will directly impact The Surfrider Foundation’s beach access efforts and the Open Martin’s Beach project, in particular. Martin’s Beach is a pocket beach just south of Half Moon Bay. It had long been open to the public until soon after it was sold in 2008; not long after the property changed hands, public access was denied. Currently, the San Mateo County Chapter and local allies are working together to Open Martin’s Beach to the public and to the families who have enjoyed it for generations once again. 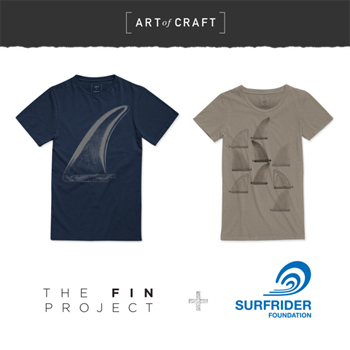 To purchase a limited edition tee in the Art of Craft’s theFINproject collection, visit www.artofcraft.com. brand where he was successful in creating a key platform that included a strategic investment from the Deckers Outdoor Corporation (DECK) as well as launching the brand into the stores of coveted retailers such as Jeffrey NY, Fred Segal, Bergdorf Goodman, Barney’s and J. Crew. Previous to his success at SeaVees, Galkin gained his experiences aligning himself with global brands such as Sperry Top-Sider and Oakley. Masekela is best known as an international action sports and entertainment personality. He’s served as lead anchor for networks like ESPN, NBC and E! Entertainment and serves as a brand ambassador of Nike and the Red Bull Media House. Masekela’s personal passion for film and music has driven his foray into filmmaking with his TriBeCa Film Festival debuted short documentary Alekesam and his first full- length album ‘The Sound of Alekesam’. Masekela is also the co-founder of the New York and LA Based non- profit, Stoked Mentoring. Pham’s background in art direction and creative development for brands from industry giants like Johnson & Johnson and Adobe to aesthetic experts like Pantone puts her at the forefront of the Art of Craft aesthetic that is design-oriented, simple and classic, to reflect the brand’s vision and voice. Art of Craft launched in October 2013 with its debut project featuring Sal Masekela (a company co-founder) and his chosen craft: music. Learn more about Art of Craft and see all current designs at www.artofcraft.com.